Rigid body moulded panels made out of glass/ceramic composites providing an exceptionally high level of certified protection against stabbing weapons. Covers made out of military spec Cordura® 1000D and include Molle webbing over the greatest possible area of the front and back. Truly exceptional and previously unmatched level of protection from a kick, punch or blow – or blunt objects such as piece of iron, chair, table, bricks, etc. Unlimited level of protection from narrower blades & hypodermic needles. What is the single key advantage of this body armour over others? The exceptional level of blunt force trauma protection. How good is the level of manoeuvrability? We feel there are no restriction to your movement. You can kick, punch, kneel down, control & restrain another individual, defend and attack without problem. Can we attached other equipment to the body armour? Yes, we have added a MOLLE style webbing to 80% of the front and back cover's surface area. We state 'unlimited' as up to this current point there is no physical evidence that it will degrade after a few years or so. However, our certifications are valid for FIVE years, hence we suggest you can return 10% of all body armour purchased for us to re-test and we will then 're-certify' the body armour for another five years free of charge. Why are the protective panels 'rigid'? Our panels are rigid in order to provide not only superb stab resistance but also exceptional protection from blunt force trauma from impact based assaults. How quickly can the body armour be put on? We state that it can be done within less than 1 minute. An additional advantage is the body armour can remain unfastened (by undoing the front Velcro connection) to allow fresh air circulation whilst on 'stand by'. The neck protection guard can also remain unfastened and be fastened within 5 seconds. Is the body armour available in any other colour? Right now it is only available in black. But we have the manufacturing capabilities in place to create different covers in different colours, subject to minimum order volumes. This groundbreaking product has been specially designed to protect officers from some of the most hostile, brutal, vicious and irrational human beings on this planet… many of which have taken other human lives in some of the most horrendous manners. 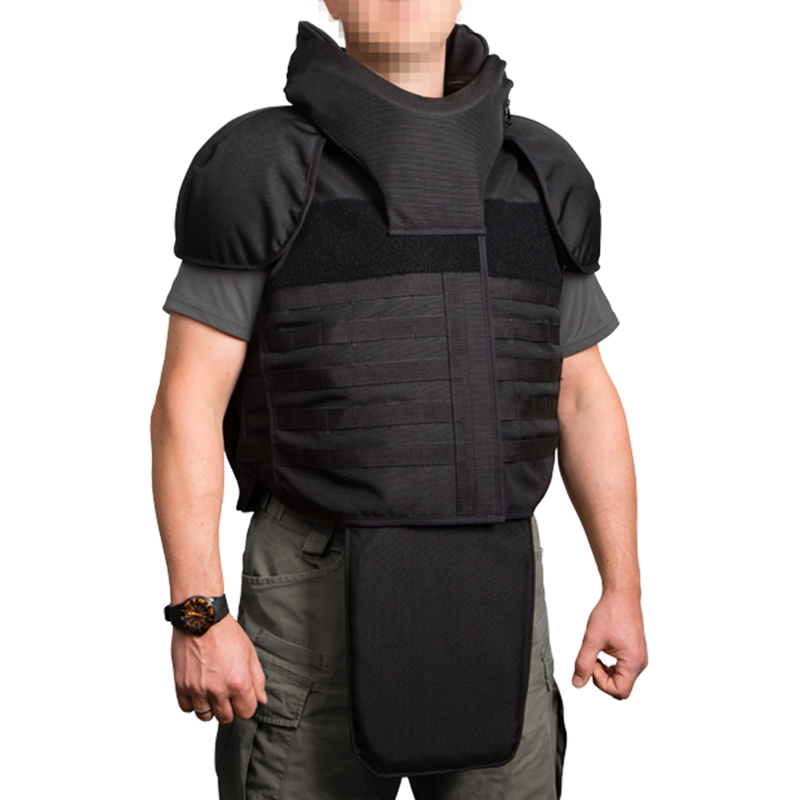 PPSS have liaised with Correctional Emergency Response Teams (CERT) and other serving Correctional and Prison Officers to develop the ultimate cell extraction vests… to deal with incidents, riots, cell extractions, mass searches, or disturbances in prisons. Who are our Cell Extraction Vests suitable for?